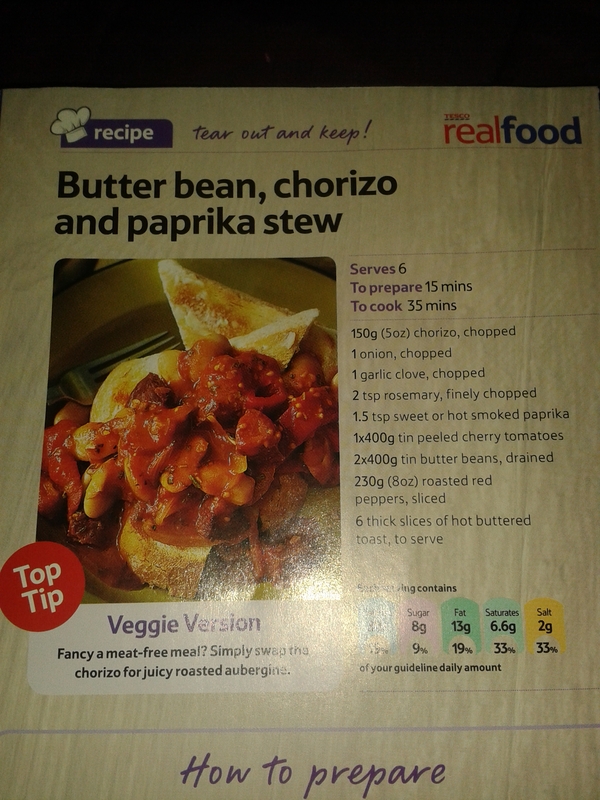 I found this recipe whilst in my local Tesco recently and instantly believed I could veganise it. It even has a top tip for a veggie version. This is a low-calorie, but filling dish. Each serving is only 92 calories, however if you are looking for more calories, the recipe suggests to serve with toast. I just had a double portion because I was hungry! A whole aubergine, chopped into half moons. 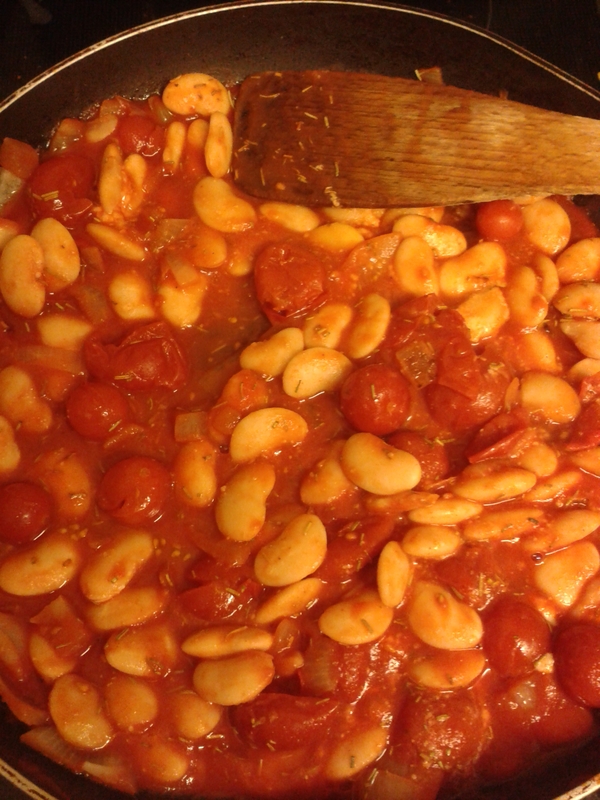 2x 400g tin of butter beans, drained. 230g red peppers, sliced and chopped. 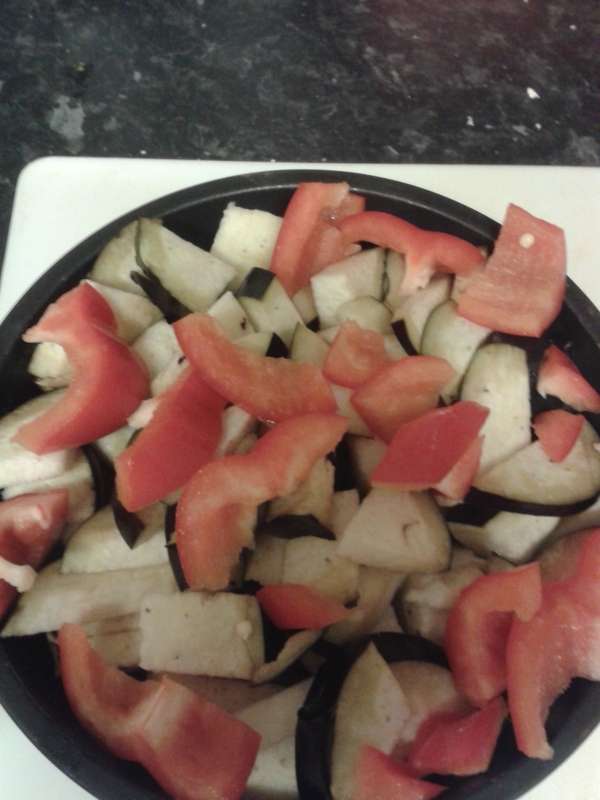 Place the peppers and aubergine in a roasting tin, drizzle some oil on top and cook in the oven for 25 minutes. 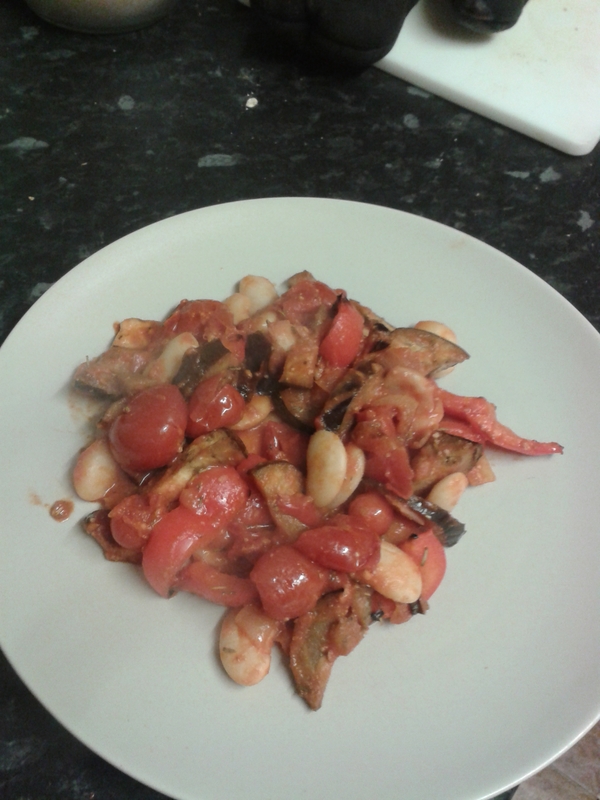 When the peppers and aubergine are cooked, mix in with the butter beans etc. and cook through for about five minutes.